COBIT 2019 is still the enterprise governance of information and technology (EGIT) framework of choice and is still based on the principle that information and technology (I&T) is an enterprise-wide governance concern, not just an issue for the IT department. COBIT 2019 introduces fundamental changes—it is more comprehensive, including new focus areas, new design factors, updated goals cascades, and new governance and management objectives (40 instead of 37). COBIT 2019 has responded to new technologies and business trends (for example DevOps and outsourcing). Going forward the framework will bear the name of the year of update. The ISACA will continue to support COBIT 5. Information Technology PolicyPro will incorporate COBIT 2019, over time. Read more about COBIT 2019 here. 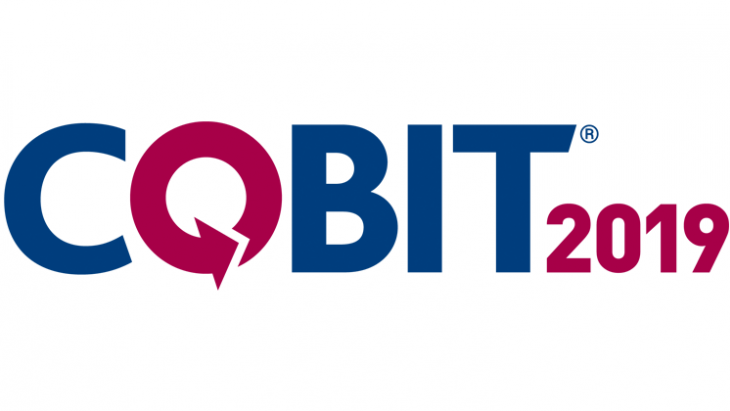 Community contribution: As an open source model, COBIT 2019 encourages input on future changes from the global governance community, so that COBIT will always reflect the latest insights and evolutions. COBIT 2019 continues to draw the clear distinction between governance and management, and continues to allocate spheres of responsibility and control, or what it terms domains, exclusively, to either governance or management. (Other articles in this series will explore governance and management goals, processes and domains). Governance is the domain of the board of directors or like body. Boards evaluate strategic options, direct senior management on the chosen strategy and monitor the achievement of the strategy. Monitors performance and compliance against agreed-on direction and objectives. Management is the responsibility of the enterprise’s executive management, led by a chief executive officer (CEO) or like person. COBIT 2019, like its predecessor, requires that management plans, builds, runs and monitors activities in alignment with the direction set by the board. (Later articles in this series examine the “plan, build, run, and monitor” objectives and domains, which have changed under COBIT 2019). COBIT’s distinction between governance and management is similar to the approaches of other standard-setters, for example COSO and the Institute of Internal Auditors (IIA). My blog entitled Implement effective governance practices in not-for-profits, examines this distinction in not-for-profit organizations. One of my other blogs entitled Internal audit is your third line of defense, examines this distinction under the IIA’s Three Lines of Defense Model, which COSO also promotes. Three principles which should form the basis of a governance framework. A governance system must cover the enterprise from end to end, focusing not only on the IT function but on all I&T processing, regardless of the location of the processing within the organization. Aligned to the major standards, frameworks and regulations. COBIT 2019 checks all three boxes—recall the inputs to COBIT 2019, described above. Which stakeholders are relevant to an EGIT system? COBIT 2019 requires that EGIT systems consider all enterprise stakeholders because enterprises must transform stakeholder needs into actionable strategy. Ultimately, stakeholder goals cascade or feed into governance and management objectives. (Later articles will explore goals cascade and management and governance objectives, and how COBIT 2019 has refreshed or updated these concepts). COBIT 2019 recognizes both internal and external stakeholders and explains how each will benefit from COBIT 2019. Internal stakeholders include the board, executive management, business managers, IT managers, assurance providers (for example internal audit), and risk management. External stakeholders include regulators, business partners and IT vendors. Stay tuned for the remaining articles in this series to better understand COBIT 2019. 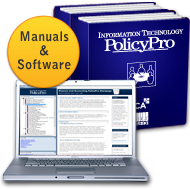 Information Technology PolicyPro already includes coverage of strategies to help you introduce an effective EGIT system or improve the one you have. Read more about COBIT in the Introduction chapter to the manual. The manual will be updated on a rolling basis to reflect COBIT 2019. Policies and procedures are essential to good governance and internal controls, but the work required to create and maintain them can seem daunting. Information Technology PolicyPro, co-published by First Reference and Chartered Professional Accountants Canada (CPA Canada) contains sample policies, procedures and other documents, plus authoritative commentary on EGIT, to save you time and effort in establishing and updating your internal controls and policies. Not a subscriber? Request a free 30–day trial of Information Technology PolicyPro here.